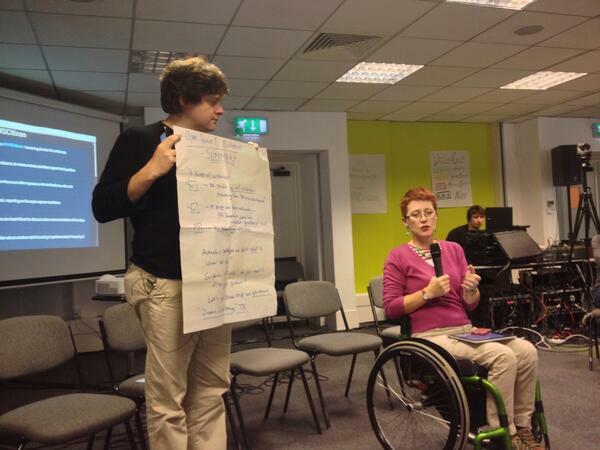 Well, I made it back to Day 2 of the Citizens' Assembly development day. To be candid, after writing my post about Day 1, I almost felt like NOT coming back for Day 2. Why? Well, I was presented with no compelling need for a Citizens' Assembly. So, what contribution could I make to a proposed model that I'm not sure is actually needed? In the end, I attended Day 2, with my confusion and skepticism in tow. Again, kudos to the facilitators & the other attendees who worked into the night once Day 1 had concluded, to revise the draft paper based upon the sentiments expressed on Day 1. The revised paper can be found here. After the opening remarks, we were told about the 'Open Space' session during the morning. A chance for attendees to lead discussion groups, based upon topics 'pitched' to the room rather spontaneously. Similar to an 'unconference' that are prevalent at technology events. We were invited to pitch the questions that WE felt were important and needed to be discussed further. Questions pitched included culture change, truth to power, inclusive membership, and lowering the bar for evidence. My question was about understanding the gaps in existing patient voice mechanisms. Another attendee, Avril Davies wanted to discuss avoiding duplication with existing services, so both our questions were merged into one discussion group. Each discussion group, had it's own room, and approx 60 minutes to debate, discuss, argue and hopefully move forward with some action points. I believe the map of existing patient voice mechanisms had already been started during the evening of Day 1 by those awesome facilitators. Our discussion group added a few more to the map on the wall. So what did our group conclude? All these current routes may not be delivering a powerful democratic voice. Existing channels are collecting patient feedback but not necessarily enabling patient participation at a national level. Patient feedback at the moment may not always get a response from the system. No one central place in NHS England for feedback/questions from patients. Why can't there simply be one 'customer service' department just like a chain of supermarkets? 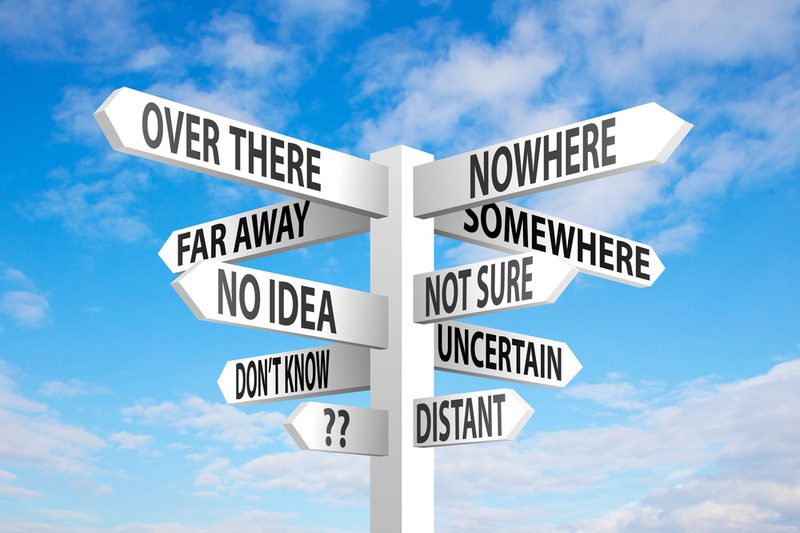 Patients may be simply be confused about where to currently give feedback, as there are so many different routes. Aggregate, Amplify and not Duplicate. Tim Kelsey sat in one some of the discussion groups (not mine though), and after the 'Open Space' sessions were over, he spoke for 15 minutes. Tim told us that some very senior leaders in the UK government were following this event on Twitter. I guess this Citizens' Assembly idea has high visibility then? 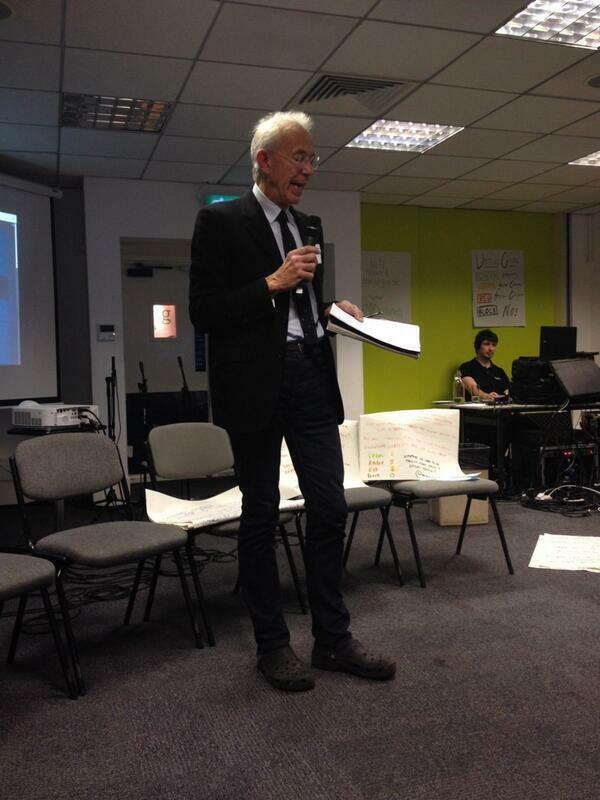 Tim also said "The Citizens Assembly should not just have impact, but 'authentic' impact", and "It's about having a grown up conversation about this commissioning thing with people who use health & social care". One of his most powerful statements was "one of the key reasons for having a Citizens' Assembly is to hold NHS England to account". This was MY immediate response on Twitter to Tim's talk. 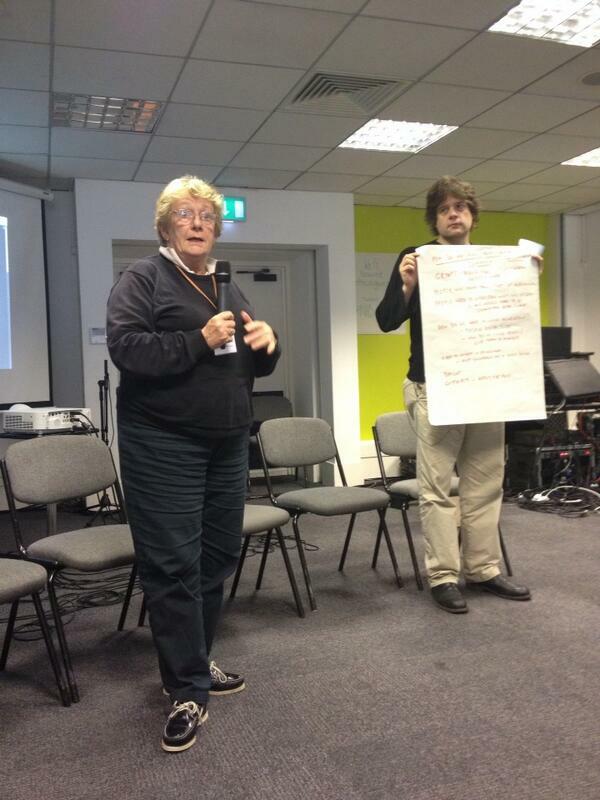 After lunch, each of the attendees who had facilitated an 'Open Space' group were invited to share their conclusions. Once again, congrats to the facilitators for politely but firmly making sure each person didn't go past their allocated 5 minutes. Four attendees are shown in the pictures below. [left to right], Fiona Carey - lowering the bar for evidence, John C - truth to power, Carol Munt - Inclusive membership, and Simon Blake - will this lead to better outcomes? By the time everyone had shared their conclusions, Simon Burall could see how tired everyone was and ended the meeting ahead of schedule. Again, this is a sign of facilitators who pay attention to the needs of participants. That's rare. Before Simon closed the discussion, he asked us to pause and ask ourselves what we will do on Monday morning as a result of attending these 2 days? After 2 intense days where our minds were busy with questions, thoughts and ideas, this brief moment to reflect was most appreciated. We were given the chance to share with the group what practical action each of us would undertake on Monday morning. Most of the actions revolved around sharing of ideas, and getting others involved in this conversation. I've attended conferences and seminars around the world, and I cannot praise the facilitators enough for their patience, wisdom and guidance these last 2 days. I admired how questions from people watching the webcast and/or following the Twitter stream were captured and relayed to the room throughout the 2 days, which helped me understand what others were thinking despite not being in the same room as us. Resources. Who is going to pay for all of this? Tim Kelsey himself has a few months ago addressed technology entrepreneurs about the £30 bn shortfall in funding that the NHS is predicted to face by 2020. I did hear of some costs in the room today but they were not confirmed. Even though the proposed Citizens' Assembly may have money allocated towards it, is it the optimal allocation of resources? Would the funds that go towards this idea be better spent on keeping a maternity ward open or hiring extra nurses? I am extremely curious to know just how much is already spent annually on patient voice mechanisms such as Healthwatch, NHS Choices and the myriad of others. Outcomes, Value & Success. Have we really given a chance to some of the most recent patient voice mechanisms in the NHS? Who has the authority to define that one mechanism delivers more value than the other? For example, how do we define the value of a patient experience survey? I recognise there may be many hard working people involved in those different services. Are we disrespecting their contributions by jumping into a Citizens' Assembly without hearing their point of view? How do we define the success of any mechanism that holds NHS England to account? Is it the absence of a major scandal such as Stafford Hospital or Baby P? I'm curious, what evidence suggests that NHS England can't be held to account right now? Technology. I operate in the world of Digital Health. A world which promises smartphones that know you are sick before you know or sensors that will allow software & algorithms to monitor us remotely without us having to leave our homes, with the smartphone being the healthcare delivery system of the future. A world where doctors' offices & hospitals may reduce in size, because an app on your iPhone knows more about your heart than your cardiologist. Digital Health technology is evolving so rapidly, it's frightening a lot of people, especially those who would prefer the paternalistic model of medicine. With trials of telehealth taking place and the 3millionlives initiative, could the fundamental nature of how we deliver health & social care make a Citizens' Assembly obsolete before it's even been launched? It's human nature to view new ideas through a lens which may be coloured by negative experiences from the past. Many of us despair when we hear of yet another radical idea from government that promises change for the better. I'm not surprised to see some patients on Twitter today expressing sentiments that make them feel like "here we go again, same old story but with different faces, blah blah blah". At the beginning of Day 1, we were told that this is a suggestion, and if at the end of Day 2, the feedback is that we don't need or want a Citizens' Assembly, then that feedback will be delivered to Tim Kelsey and the board of NHS England. However, we were hearing a date today, March 2014, that's a potential launch date for a Citizens' Assembly. To be fair, nothing has been confirmed. It's still very much a suggestion. Some people in the audience today felt as if the Citizens' Assembly is a 'pre-ordained deal', and that these 2 days were just a 'box ticking exercise' to make it appear as if stakeholders are involved in the process. I certainly hope not. A Citizens' Assembly in one form or another may be what Tim Kelsey and the board of NHS England want. However, despite 2 days of intense discussions, I remain unconvinced that's what the 53 million people served by NHS England actually want (or need).